Mayor Johnson said: “I am very pleased that we can announce that route 11 will be next to be served by these beautiful, bespoke, economy-boosting buses. 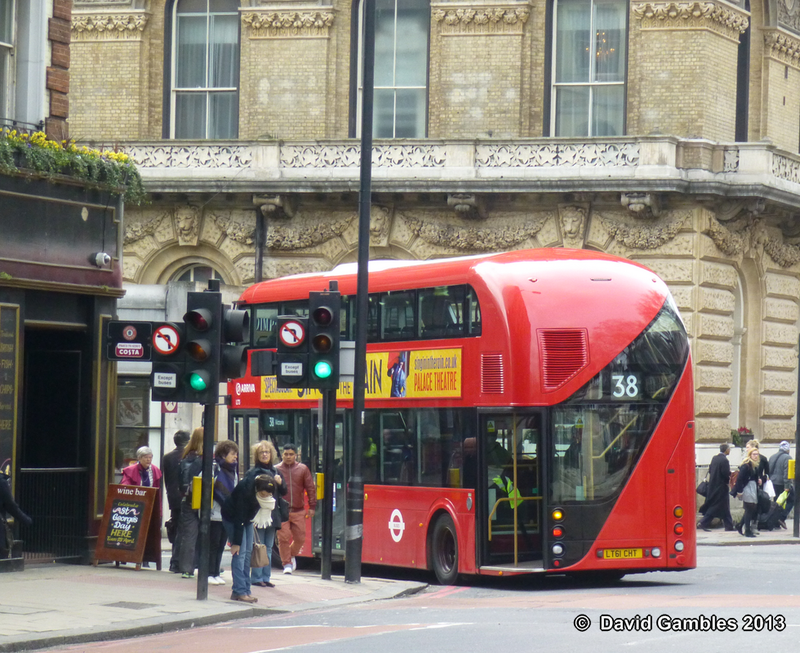 They have world-leading environmental credentials and offer an unparalleled passenger experience.” Transport for London claims the bus is the “greenest diesel electric hybrid bus in the world” although its green credentials have been questioned by critics and the Mayor recently admitted the bus would not comply with his own Ultra Low Emission Zone. When the original NBfL vehicles were introduced last year they were introduced on Arriva route 38 and depending on availability have since continued to serve this route mixed in with conventional Arriva buses. 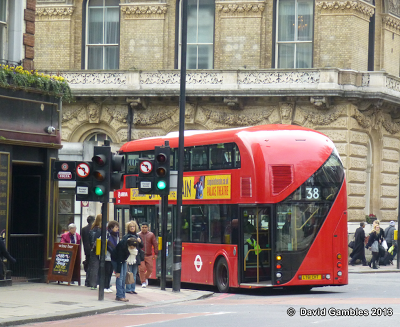 The first bus route to be converted to operate entirely with New Bus for London vehicles will be the 24 – which runs between Hampstead Heath and Pimlico – from Saturday 22 June. The 24 will soon move over to being operated entirely by NBfL vehicles. Current vehicles are Volvo Wright buses operated by Metroline, seen here at the northern terminus at Hampstead Heath.